In a wireless communication network, it is possible to locate a user and track its trajectory based on its transmission, during communication with access points. This type of tracking leads to the breach of a user’s location privacy. Prior solutions to this problem enhances user’s location privacy at the expense of communication Quality of Service(QoS) degradation. 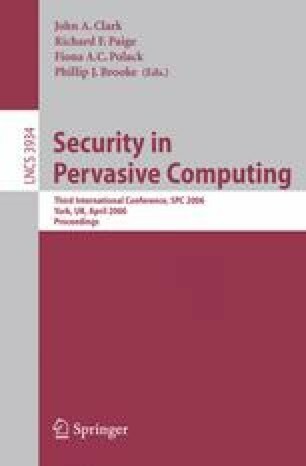 In this paper, we propose silent cascade to enhance a user’ location privacy by trading users’ delay in silent cascade for anonymity. As a result, it avoids the problem of QoS degradation in prior solutions. Furthermore, we abstract silent cascade as a mix-network based formal model, and use this model to evaluate the performance of silent cascade. Study results prove the effectiveness of silent cascade under different types of QoS requirements. Besides, we also derive the optimal configuration of silent cascade to achieves target anonymity within minimum duration of time. and the theoretical upper bound of a silent cascade’s anonymity.